While 30 seconds isn’t a lot of time to formulate an opinion on a television series, ABC has nonetheless released a new promo for their upcoming Roseanne-less Roseanne continuation show, The Conners. Reportedly, the series will pick up after Roseanne (played by Roseanne Barr, duh) overdoses on opioids, as she struggled with the beginnings of addiction in the previous season of the revival of the sitcom. 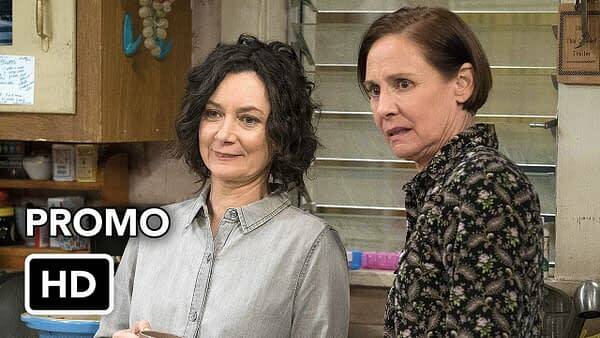 Sara Gilbert, John Goodman, Laurie Metcalf, Lecy Goranson, and Michael Fishman are all back for The Conners. The Conners hits ABC on Tuesday October 16th 2018.